Start the New Year by discovering fun and memorable activities for the entire family in exciting Hong Kong. More than Hong Kong Disneyland, Ocean Park and shopping, Hong Kong comes with multiple personalities, fascinating medley of ancient and modern wonders, flanked by influences from East and West. It is a city that has much to offer; the sophistication of an international city, cultural diversity and cosmopolitan lifestyle are at the very core of Hong Kong’s attractions. It also offers natural beauty of unspoiled natural parkland and spectacular scenery. Since Hong Kong is very close to the Philippines, airfares are generally cheaper compared to fares to other countries. Additionally, non-stop flights are only two hours long, meaning shorter flights and more manageable trips for elderly parents and kids. While the city has always been perceived as expensive, visitors can actually make Hong Kong as affordable as they want, from everything to food, shopping and accommodation. In terms of lodging, there are numerous wallet-friendly options where families can stay comfortably as hotel service in Hong Kong is one of the best in the world. The Dorsett Wan Chai Hong Kong is an award-winning hotel famed for its Asian-style courtesy and efficiency. Located between Causeway Bay and Wanchai—the vibrant heart of commercial and business—the hotel is only an eight-minute walk away from the nearest MTR station and the vibrant Causeway Bay shopping and entertainment belt. Expect wonderful services like free use of a smart phone with unlimited 4G internet and IDD calls to eight countries. Another possibility is the Best Western Tsim Sha Tsui. The hotel boasts modern rooms with gorgeous city views and complementary WiFi. Families can look forward to comfortable amenities and, best of all, the property is only five minutes away from Nathan Road and Jordan MTR station. When it comes to food, we know that most kids are picky and are not afraid to speak their minds. For a sure hit with kids, go to More Eggettes located in Mong Kok. The classic Hong Kong egg waffles are given a twist with ingredients such as chocolate and Honey Stars cereal. There are even limited-edition waffles with designs printed on each bubble. Another option is Tai Cheong Bakery in Central, Hong Kong. 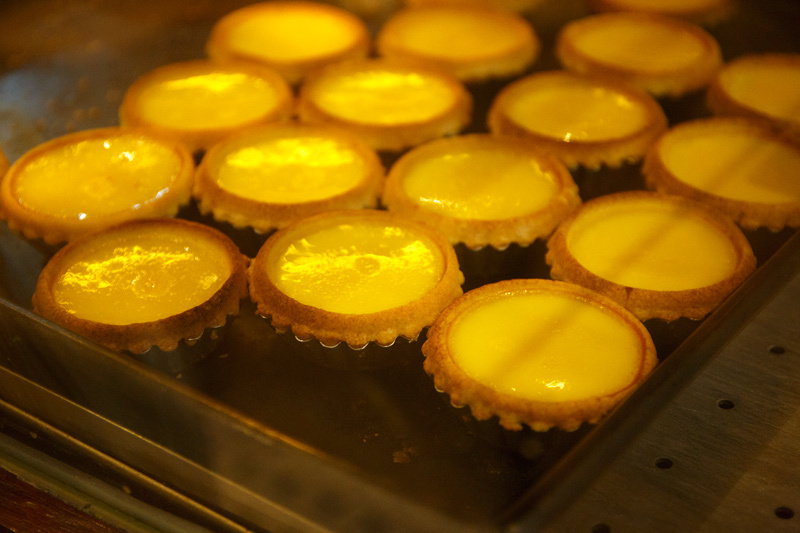 The place is best known for its lighter-than-air beignets (deep-fried dough rolled in sugar) and egg tarts. Established in 1954, Tai Cheong is one of the most popular bakeries for locals and tourist alike. When traveling with kids, it is important to select activities and tourist spots that they can appreciate and remember for a lifetime. The Symphony of lights located along the Avenue of Stars in Tsim Sha Tsui is a classic spot worthy of your Instagram feed. The audio-visual spectacule uses the dramatic Hong Kong skyline as a fitting backdrop to display laser and firework show set to music. The show lasts 15 minutes and is best seen from the Avenue of Stars promenade on Kowloon. 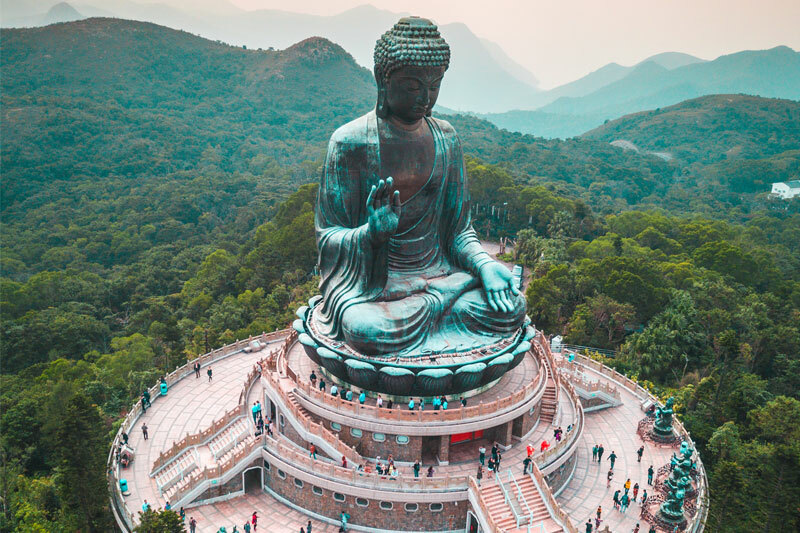 The Big Buddha and Po Lin Monastery in Lantau Island is home to the famous Big Buddha, which measures more than 100 feet high. The statue is made of bronze and seated in the mythical cross-legged repose. The view of the countryside is spectacular and the excellent vegetarian cuisine served by monks in the canteen seals the deal. To get to the Big Buddha, head to downtown Tung Chug and hop onto the Ngong Ping 360, an all-clear Cable Car which will take you to the many attractions in Lantau Island. Whilst mid-air, the entire family could enjoy picturesque views of the Hong Kong International Airport, mountainous terrain of Lantau Island, the Big Buddha and Ngon Ping Plateau. Spend a hands-on and engaging afternoon with your kids at The Hong Kong Science Museum located on Science Museum Road in Tsim Sha Tsui. The Museum has around 500 exhibits, most of which are interactive to encourage exploration. Meanwhile, the Hong Kong Wetland Park in Tin Shui Wai is a fun, interactive and educational center, showcasing the region’s fragile ecosystem and plethora of wildlife. The park is stroller-friendly so it makes for an excellent outing for family with younger children. Enjoy the great outdoors and go strawberry picking with the family at Tai Tong Organic Ecopark in Yuen Long. The little pickers can learn more about organic farming and even grow their own vegetables. The park is also packed with other activities such as barbecues, petting zoos, pony rides and other exciting games. Noah’s Ark is a world-class tourist attraction for visitors who like to bond with nature and experience fun and educational activities. The life-sized replica of Noah’s Ark, built specifically according to biblical dimensions, makes it the world’s only full-size model. Apart from the ark and the fiberglass animal sculptures, the theme park also houses several exhibits showcasing the unique cultural history of Ma Wan Island in addition to the Ma Wan Nature Garden and the Solar Tower—the latter allows visitors to observe the sun’s activity through a vacuum telescope. Noah’s Ark is a fun and less-crowded alternative to Disneyland and Ocean Park, promising a fun-filled, interactive experience for both families and curious individuals. Parents need not fear regarding the safety of their children while visiting Hong Kong because it is one of the safest places in the world. The little state has one of the lowest crime rates in the world. One of the reasons for this is the local police force. The policemen are described as very helpful, polite and omnipresent, giving people a general feeling of safety and security. Visitors can easily approach any of Hong Kong’s police officers, as most of them can speak English. Look for a red label under their shoulder badges as this indicates their language skills. Busy careers, school schedules, and gadgets make it harder for some families to bond and establish closeness. This is why family travel is more important than ever. Studies show the numerous benefits of traveling as a family. Placing importance on family togetherness offers children unique experience and learnings, helping them become open-minded and successful later on in life. 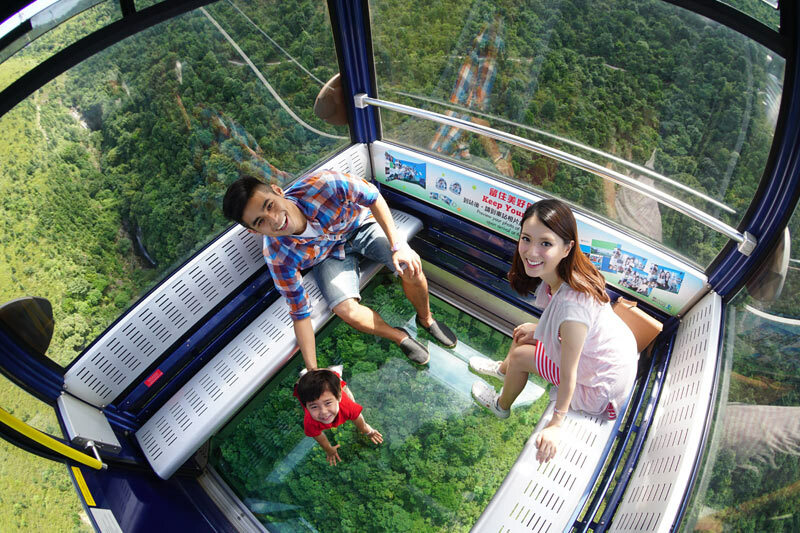 Plan your next family vacation in Hong Kong for a fun-filled and memorable experience!